THERE are rules that apply to boats on the water, just like cars on the road. George Duck from the Boat Club Fishing Club says it's important for local boaties to learn these rules to avoid collision, maintain safety on the water, and get to know the local green and yellow fishing zones and bag limits. That's why the club hosts its annual familiarisation cruise each year. 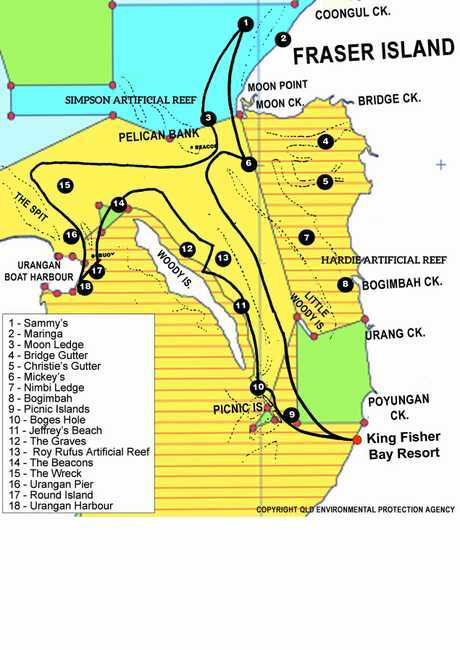 On Sunday, March 24, anyone interested can board the MV Amaroo for a cruise out to the new Hardie Artificial Reef and popular local fishing spots near Little Woody Island, the Roy Rufus Artificial Reef, the Picnic Islands and Fraser Island. "On the water there's no white lines to follow or a side of the road ... the GPSs are very good once you have a track but you have to get your first track to follow," George said. "It (the cruise) gives you the basic idea of how to get out of the harbour and where to head for. "It's especially good for new people to the region." "We will have all modern sounders and GPS on board and you will learn everyone's favourite fishing spots, except mine," Mr Duck said with a laugh. Representatives from Queensland Fisheries, Volunteer Marine Rescue and Queensland Parks and Wildlife will be on board. "Representatives of Hervey Bay Volunteer Marine Rescue will tell you all about their organisation and the correct use of radios and tips on how to navigate the area. "Brochures on the latest regulations on fish species, size and bag limits and fish identification and the different zones will be given out. 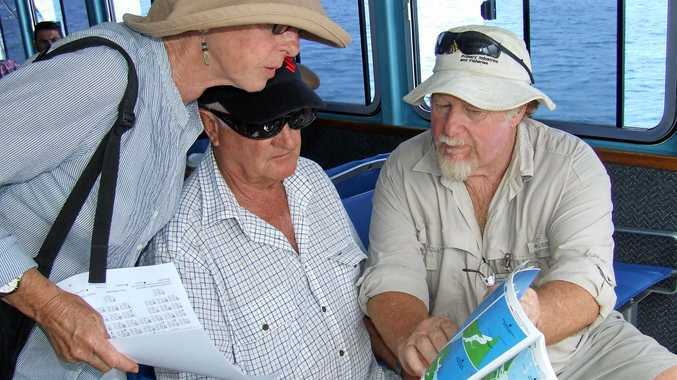 "Green and yellow zones will also be pointed out including the green zone North of Big Woody Island which is now marked with permanent buoys, the green Zone East of Little Woody Island and the green zone at the Picnic Islands."